Although we can debate the historicization of literary modernism, particularly by attending to its formal rather than authorial delineations, it is less contestable to suggest that it had a prominent position in the cultural life of the 1930s. This was, of course, the decade of Pound’s Cantos, Beckett’s Murphy, Joyce’s Finnegan’s Wake, and Stein in America. Perhaps this canonized imperative declined somewhat in subsequent decades, but arguably it is not until the 1960s that we see modernism’s replacement in high culture; hence, Charles Olson’s letter to Bob Creeley about his generation being “postmodern.” The 1960s, of course, sees the flowering of a whole raft of poetries, not least among them ethnopoetics, with Jerome Rothenberg’s seminal Technicians of the Sacred being published in 1969. But what of the prehistory of the field of ethnopoetics? How can we add to our understanding of the modernist era by examining both the primitivist proclivities of established writers (from Lawrence to Césaire) and the raft of world poetries that go on to become those of ethnopoetics? I want to focus on the poetry collected in one anthropological journal to ask and develop this question and to provide readers with an opportunity to encounter material that is often locked away in archives that are hard to access. Oceania was established in 1930. Since then it has published contributions in the field of social and cultural anthropology. Its primary regional orientation is to the peoples of Australia, Melanesia, Polynesia, Micronesia, and insular Southeast Asia. Reading Oceania is reading the history of anthropology, then, particularly in a peer-reviewed academic strain, but in so doing we can reread what is possible through close attention to the source material on which the analysis is based. As Rothenberg did in his early anthologies, this means finding textual poetries in the archive, which are often used instrumentally to highlight anthropological points rather than thinking through their aesthetic merits on their own terms. What are the sources, informants, primary materials saying, and how might we relearn this rather than rely on the established interpretation of bygone days? How, in other words, should we read various Indigenous poems now? Primary among the poetic material that exists in Oceania are Indigenous Australian song poems, which feature lyrics, often narrative, that relate key ceremonial and domestic life to a different audience. For the most part the analysis of this material is used to highlight the social organization of the studied group rather than explicate a poetic worldview. This is particularly the case for the era 1930–1960. In the archive, though, there are a variety of different aesthetic expressions — different groups singing for different reasons with different tones, modalities, styles, forms. It is a diverse and rich poetic territory, and one can see the great degree to which Indigenous Australia is a colonial projection that discounts the differences between groups from central Australia to northern Australia to every other corner of the continent. Indeed, the categorizing and labeling imperative seems to flatten rather than enrich, and part of the analytical work that is necessary today involves trying to decongeal those terms, to reinvigorate what is possible by attending closely to the material at hand. Part of that is respecting the archival materials. As such, I have selected a wide range of songpoems from the Oceania catalogue that when read against more common sources show us a new type of worldview, a new understanding of what is possible in the era of modernism. 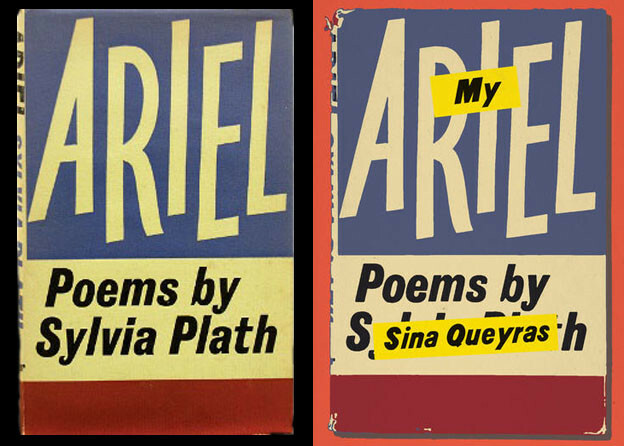 The poems collected below are paths through literary primitivism precisely because they present what “primitives” themselves told those who went looking. That there were Indigenous people in Australia still living as “hunter-gatherers” until 1984, when the Pintupi Nine came in from the desert, suggests not only a deep and ongoing connection to traditional ways of life for some, but also that the material conditions upon which ideas of primitivism were based were a common-sense, everyday mode of being in the modernist era I have defined above. What follows are the translations as the anthropologists presented them. Rather than seeking to re-present them as failed or partial, as the anthropologists implied by adding more literary translations that conform to the aesthetic paradigms of their era, I want to see their poetic qualities in and of themselves. In this way I regard them as Sappho-like fragments, as contributions that translate in a literal way and allow us to come to an understanding of what was happening in their original context. One notices, too, the heavy repetition, a feature of much Indigenous Australian poetry. It is a technique that I find engaging and locating here — it pulls us back by saying the same word again and again. These poems attest to a history of collaboration as well. Ronald and Catherine Berndt were particularly important and made a major contribution to anthropology and song poetry in particular. The work presented here represents a very small fraction of the work they collected during their time in the field, which is now housed at the University of Western Australia. They stand as the foremost interpreters of song poetry of the modernist era and deserve recognition despite the increasingly fraught politics of this encounter. Song poetry is a living and thriving art in many places around Australia. This archival record shows not only a historical dimension to it, but also places it in conversation with other aesthetic movements around the world. What it can teach us is not only about the rich life of Indigenous people but also how we can read in translation and what aesthetic qualities are valuable in different contexts. 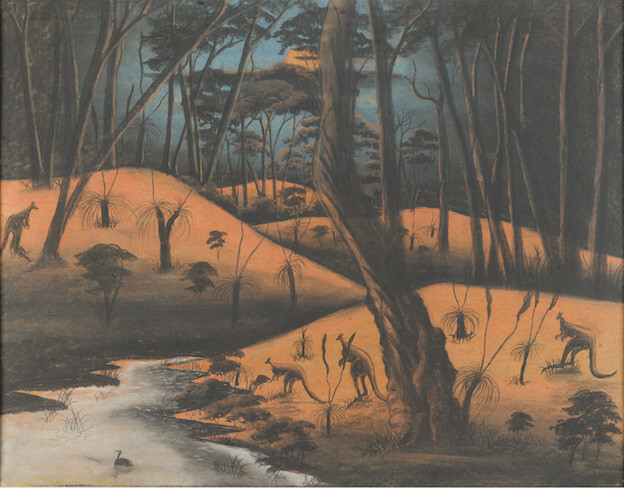 — Norman B. Tindale, “Legend of the Wati Kutjara, Warburton Range, Western Australia,” in Oceania 7, no. 2 (1936): 169–85. rock wallaby hit it (with club). — R. M. Berndt and Catherin Berndt, “A Preliminary Report of Field Work in the Ooldea Region, Western South Australia (Continued),” Oceania 13, no. 2 (1942): 143–69. big hill/digging stick/climb up a bush sand wet wet. yellow snake/go along making/a wavy track bring it here/bring it. a star falling down at night time you (star) go back! — R. M. Berndt and Catherin Berndt, “A Preliminary Report of Field Work in the Ooldea Region, Western South Australia (Continued),” Oceania 14, no. 1 (1943): 30–66. — Ernest Worms, “Aboriginal Place Names in Kimberley, Western Australia,” Oceania 14, no. 4 (1944): 284–310. — R. M. Berndt and Catherin Berndt, “A Preliminary Report of Field Work in the Ooldea Region, Western South Australia (Continued),” Oceania 15, no. 1 (1944): 49–80. — Catherine H. Berndt, “Expressions of Grief among Aboriginal Women,” Oceania 20, no. 4 (1950): 286–332. — Catherine H. Berndt, “A Drama of North-Eastern Arnhem Land (Continued),” Oceania 22, no. 4 (1952): 275–89. — A. P. Elkin, “Arnhem Land Music (Continued),” Oceania 25, no. 4 (1955): 292–342. — A. P. Elkin, “Arnhem Land Music (Continued),” Oceania 26, no. 3 (1956): 214–30.